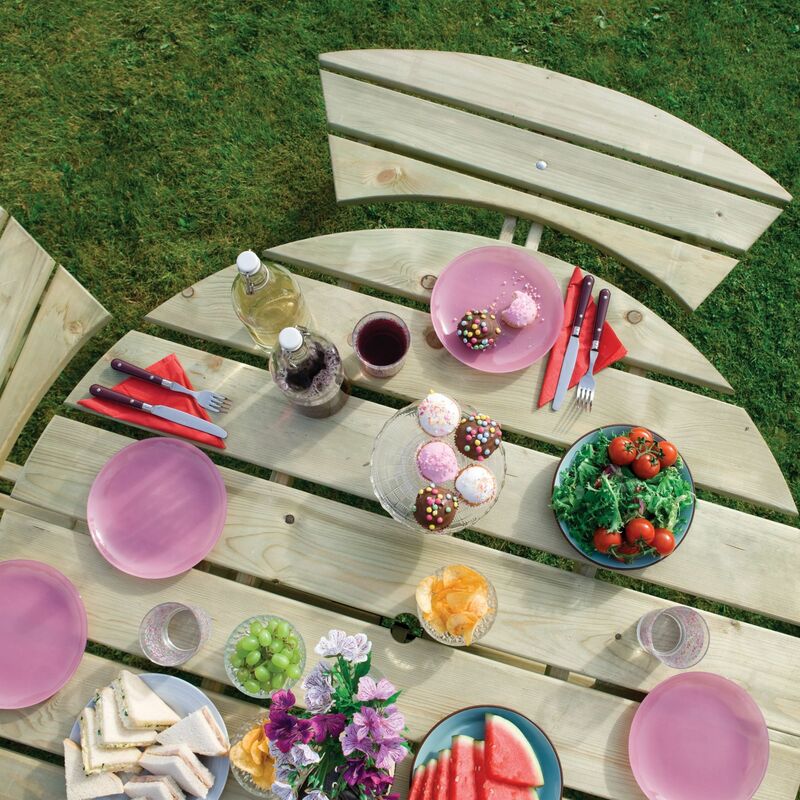 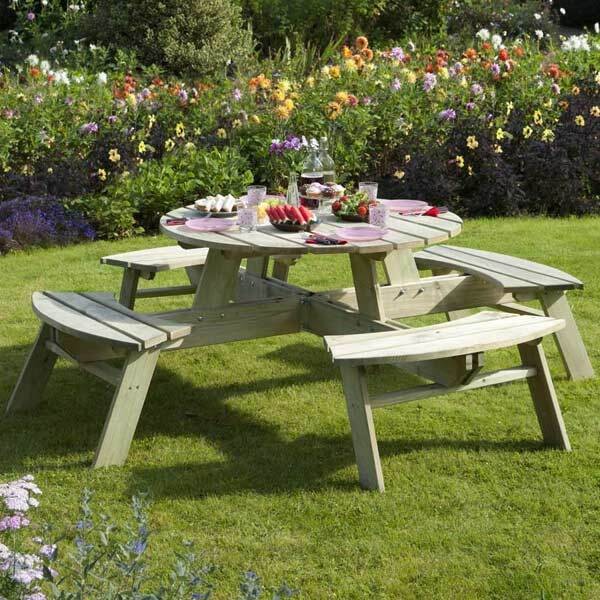 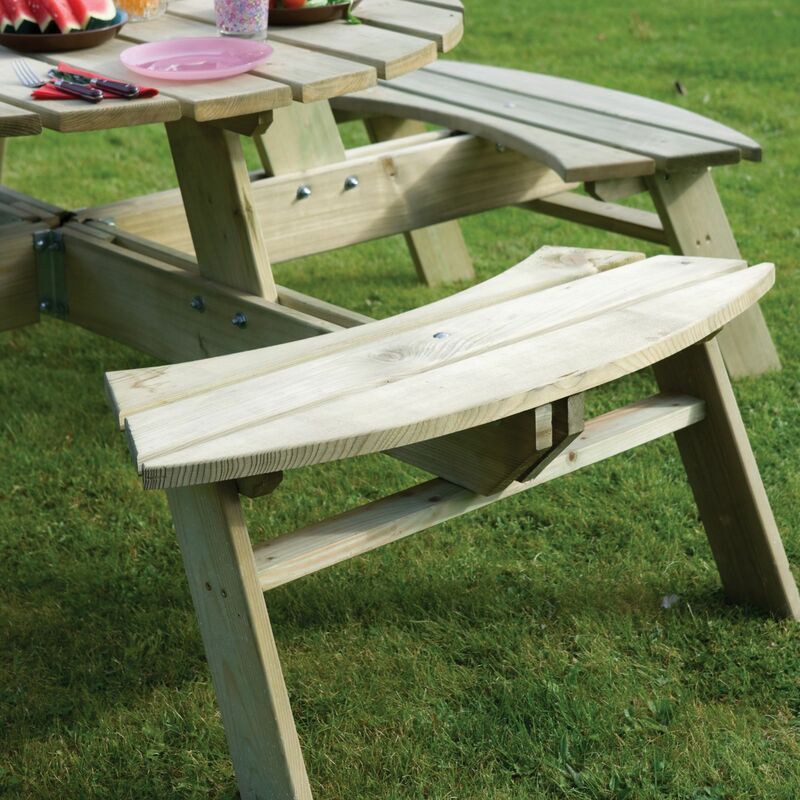 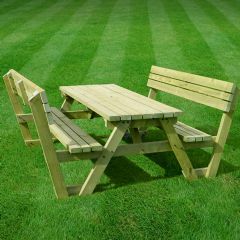 Beautifully crafted, this Rowlinson Round Picnic Table comfortably seats up to 8 people. 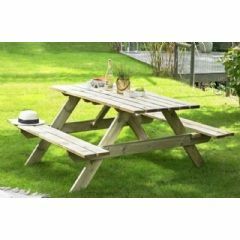 It is an excellent, solid construction that has been manufactured from quality FSC softwood and will become a focal point for friends and family to gather on warm summer days. 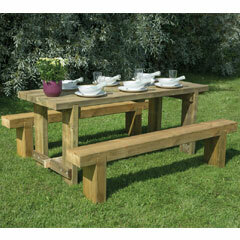 Ideal for enjoying food and drinks, or simply to enjoy flowing conversation. 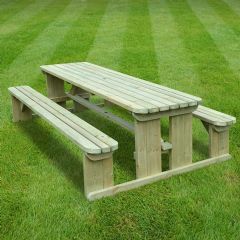 Rowlinson is renowned for quality timber products and this is no exception. 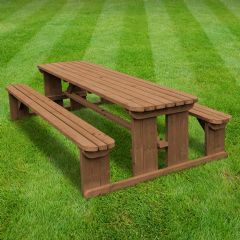 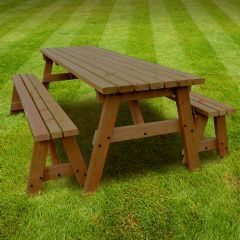 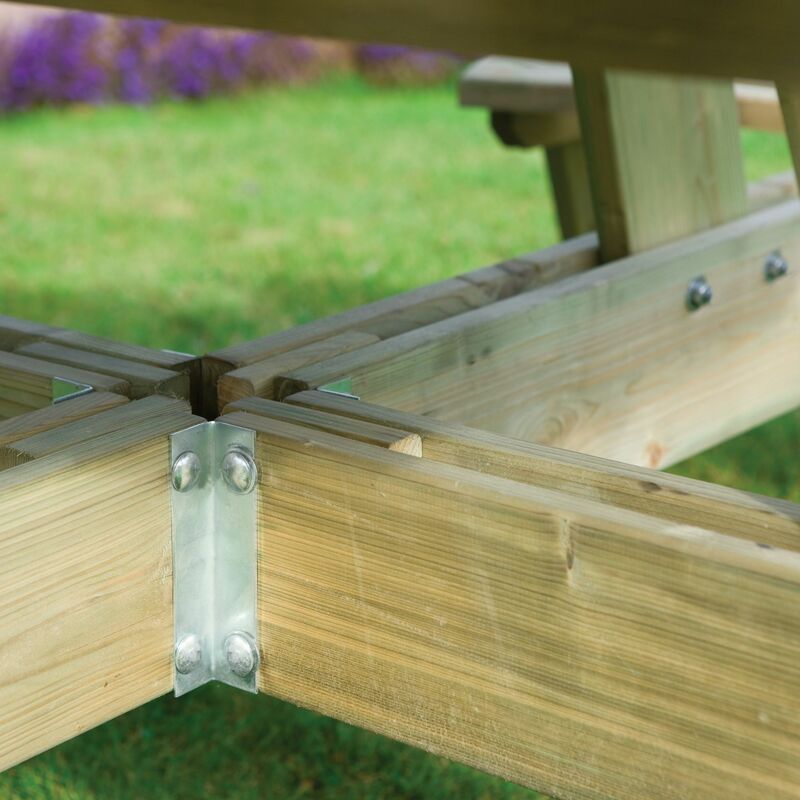 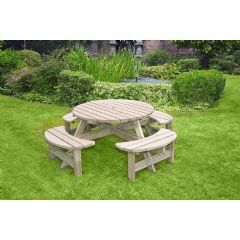 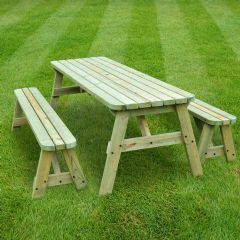 Sturdily built with a natural timber finish, this round picnic table has been pressure treated to protect against rot. 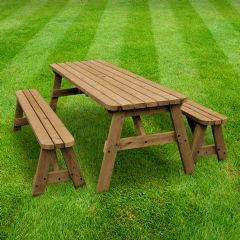 It can be painted or stained if desired.